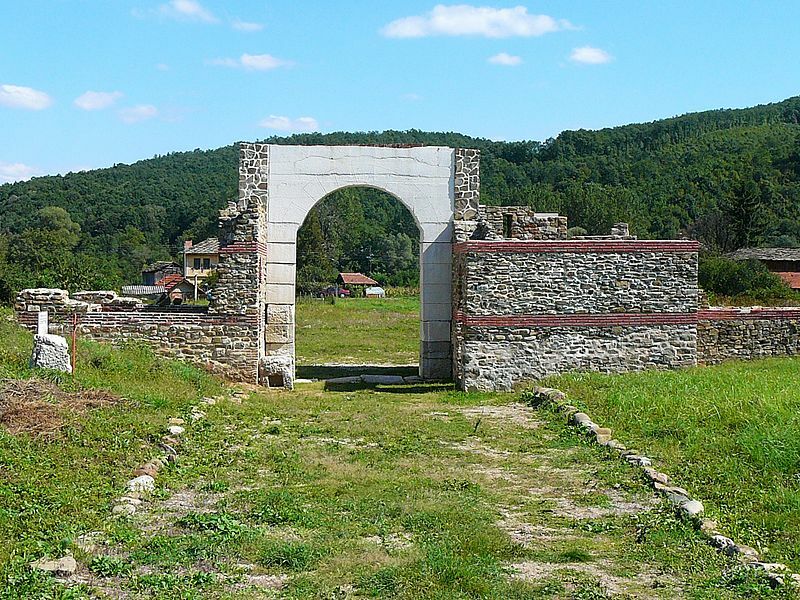 Troyan Municipality in Central Bulgaria, together with several other towns, has moved closer to state recognition of the culture monument status of three local Ancient Roman sites along the so called Via Traiana, a Roman road used by Emperor Trajan (r. 98-117 AD). The initiative seeking the recognition of the Ancient Roman fortress Sostra, Early Christian basilica St. George, and a fully preserved section of the Roman road by the Bulgarian Culture Minister as “culture monuments of national significance” has been started by Troyan Mayor Donka Mihaylova, and has been supported by the mayors of Sopot, Hisarya, Karlovo, and Pavel Banya, Troyan Municipality has announced. Unlike Troyan, the other municipalities backing the initiative are located south of the Balkan Mountains, at the other end of the Troyan Pass. Their joint move is part of the efforts to restore a section of the Ancient Roman road Via Traiana, which runs through the Troyan Pass of the Balkan Mountains, was vital in Roman Emperor Trajan’s wars for conquering the Dacians, the resisting Thracian tribes north of the Lower Danube, in today’s Romania. It linked the Ancient Roman city of Philipopolis (today’s Plovdiv in Southern Bulgaria) in the Roman province of Thrace, with two major Roman outposts on the Lower Danube frontier, the so called Limes Moesiae: Ulpia Oescus near today’s town of Gigen, and Novae near today’s town of Svishtov, in the Roman province of Moesia Inferior. The municipalities of Troyan, Sopot, Hisarya, Karlovo, and Pavel Banya have come together for a joint project entitled Via Traiana Balkanica (“Trajan’s Balkan Road”), which was endorsed by the previous Bulgarian Cabinet in the spring of 2014. It is supposed to help set up a year-round alternative tourism destination using archaeological and cultural sites, mineral springs, and the nature of the central Balkan Mountains. Meeting on March 16, 2015, the Specialized Experts’ Council of the Bulgarian Ministry of Culture has decided to ask to the Culture Minister to grant cultural monument status to the Ancient Roman fortress and road station Sostra located near the town of Lomets, and the Early Christian basilica St. George located near the town of Dalbok Dol. According to Troyan Municipality’s statement, the third site – a preserved section of Emperor Trajan’s road near the town of Beklemeto close to the Troyan Pass is soon to be declared a “culture monument of national significance”. It is described as “a true ancient highway, seven meters wide, a line marking the center of the road, and auxiliary infrastructure such as watch towers and commercial buildings serving traffic in the Antiquity period”. The Ancient Roman fortress and road station along Via Traiana called Sostra has been excavated by Prof. Dr. Ivan Hristov, Deputy Director of Bulgaria’s National Museum of History. In the upcoming months, the Sostra fortress will be excavated further, with the archaeologists exploring the remains of the Roman road station that served the mail service, Roman emperors, and supreme magistrates who traveled up and down Emperor Trajan’s road between Philipopos and Ulpia Oescus or Novae. All buildings to be uncovered during the excavations will be protected with conservation structures in order to expand the area with archaeological monuments of the Sostra fortress. A new archaeological base is to be set up on a plot recently acquired by Troyan Municipality where in 2014 Hristov’s team found a fully preserved Roman pool and the foundations of Roman buildings with underfloor heating. 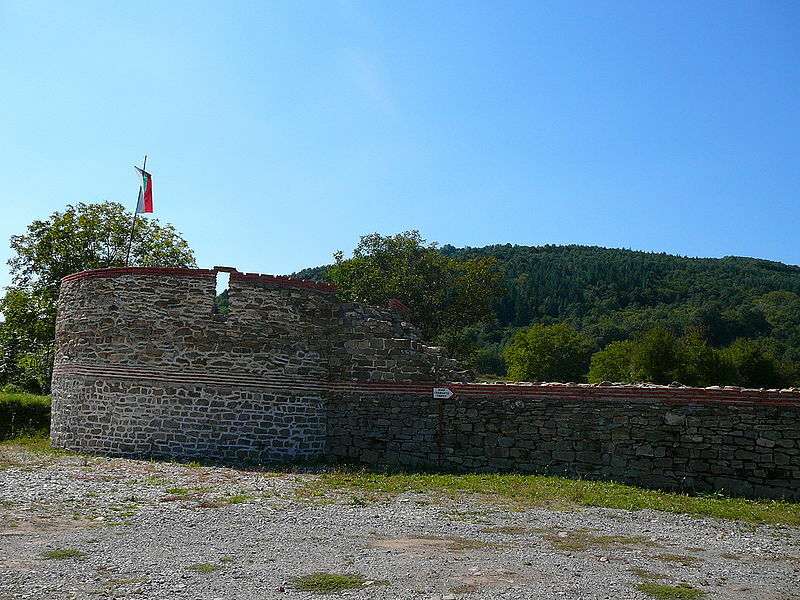 During the summer of 2015, the archaeologists are set to excavate plots situated opposite the main gate of the Sostra fortress which are facing the present road between Troyan and the city of Lovech. This is where Troyan Municipality intends to build a new road, a parking lot, and tourism center. In its efforts to explore and preserve the Roman heritage in Troyan’s region, the municipality is partnering with Bulgaria’s National Museum of History, Rotary Club Troyan, and the Troyan Museum of Crafts. Sostra is an Ancient Roman fortress and road station located near the town of Lomets, 16 km away from the town of Troyan. It was situated on the major Roman road linking ancient Philipopolis (today’s Plovdiv in Southern Bulgaria) and the Roman outposts on the Lower Danube such as Ulpia Oescus (near today’s Gigen) and Novae (near today’s Shishtov) via the Troyan Pass in the Balkan Mountains (also known as Trajan’s Road, Via Traiana, or Trajan’s Balkan Road, Via Traiana Balkanica, to distinguish it from Emperor Trajan’s road on the Italian Peninsula). Sostra’s construction started around 147 AD at the order of Roman Emperor Antoninus Pius, and later became a town with civilian population for a brief period of time. It became the target of barbarian invasions, and was destroyed in the 4th by the Goths, and completely destroyed by the Huns at the end of the 6th century. Starting in 2002, Sostra has been excavated by Assoc. Prof. Ivan Hristov from Bulgaria’s National Museum of History in Sofia.